Trendall, Arthur Dale. The Red-figured Vases of Lucania, Campania, and Sicily. Third Supplement (Supplement to the Bulletin of the Institute of Classical Studies of the University of London, 41). London: 1983, p. 16, no. 208c. True, Marion, and Jiri Frel. 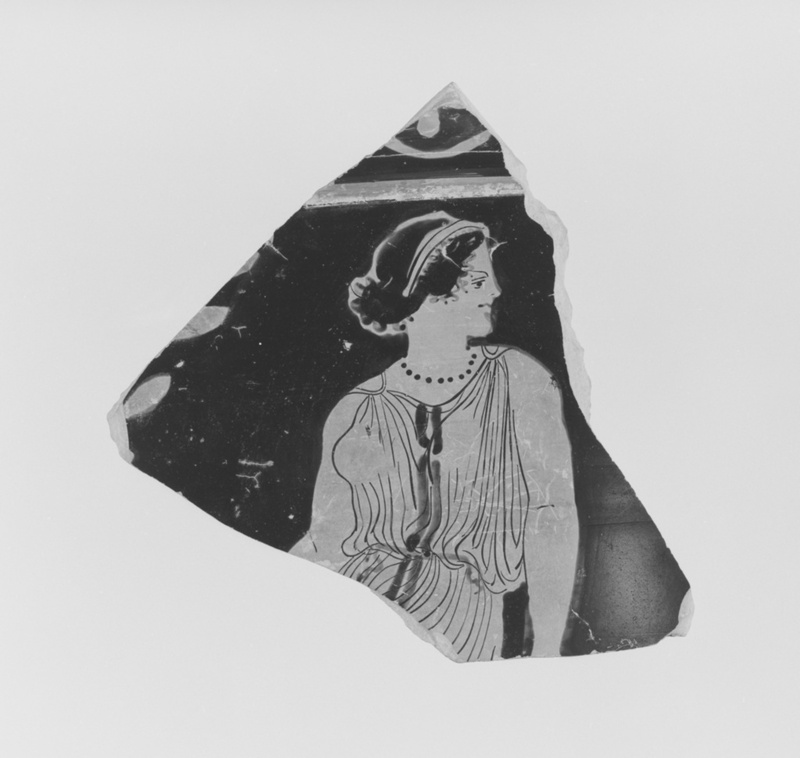 Greek Vases: Molly and Walter Bareiss Collection (Malibu: J. Paul Getty Museum, 1983), p. 86, no. 252. Denoyelle, Martine. "A propos de la personalite du Peintre d'Arno. Un point de jonction entre Grand-Grece et Etrurie," Revue Archeologique 1 (1993), pp. 53-70, p. 59, cat. no. 9; p. 68. Jentoft-Nilsen, Marit R., and Arthur Dale Trendall. Corpus Vasorum Antiquorum. The J. Paul Getty Museum 5 (USA 30) (Malibu: J. Paul Getty Museum, 1994), pp. 40-41; pl. 279, 3.